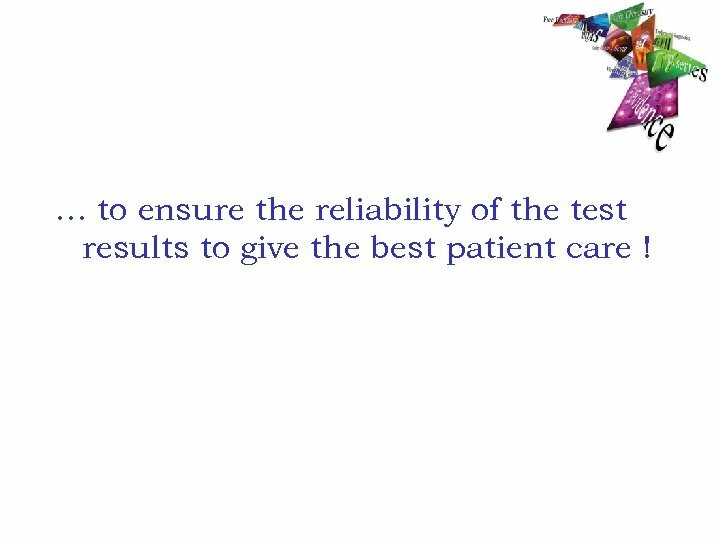 … to ensure the reliability of the test results to give the best patient care ! 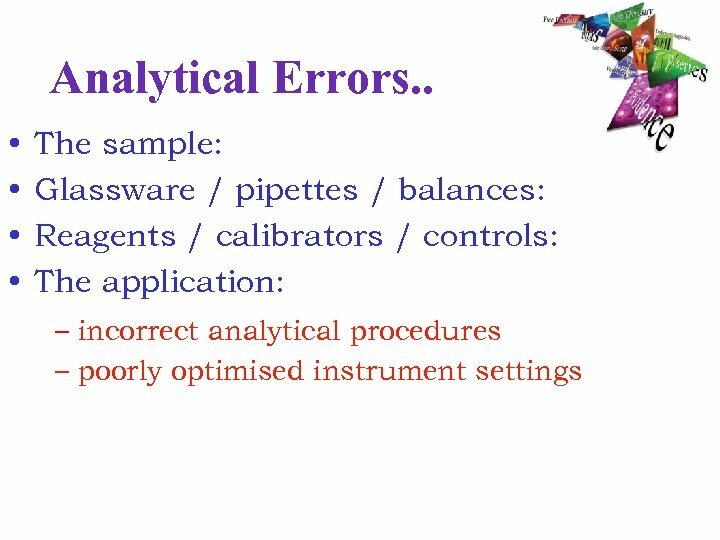 Unreliable Performance ? 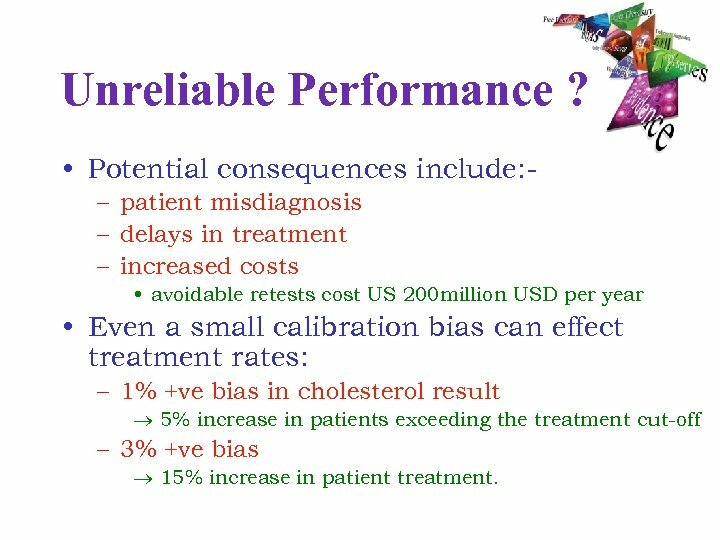 • Potential consequences include: – patient misdiagnosis – delays in treatment – increased costs • avoidable retests cost US 200 million USD per year • Even a small calibration bias can effect treatment rates: – 1% +ve bias in cholesterol result 5% increase in patients exceeding the treatment cut-off – 3% +ve bias 15% increase in patient treatment. 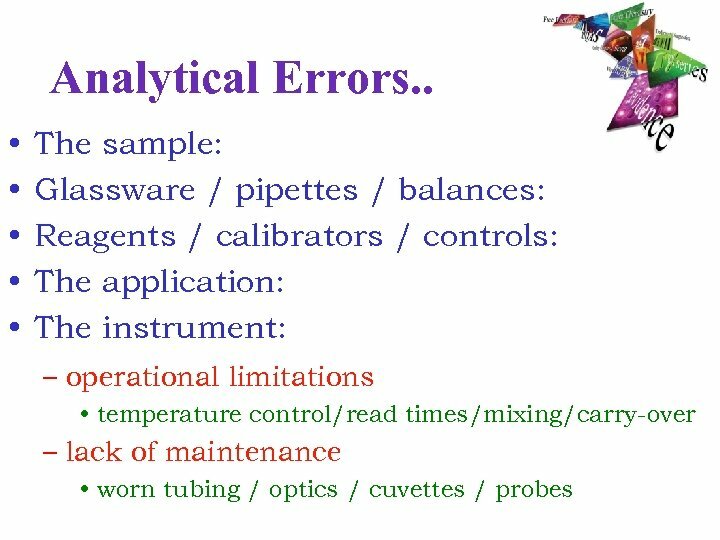 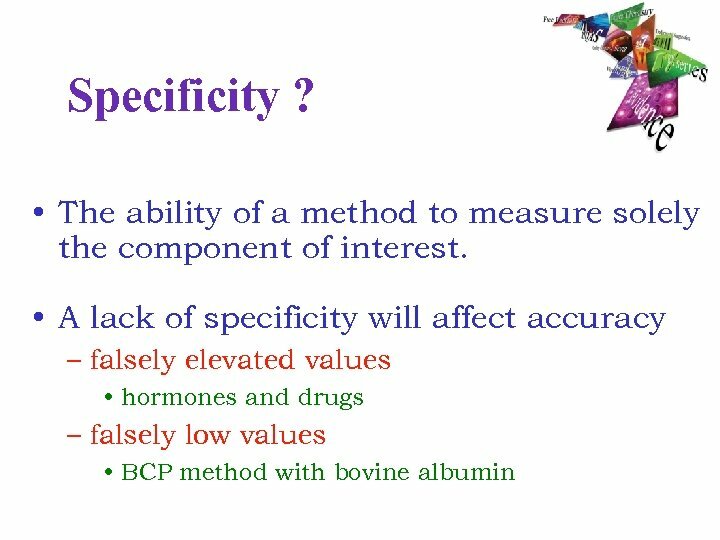 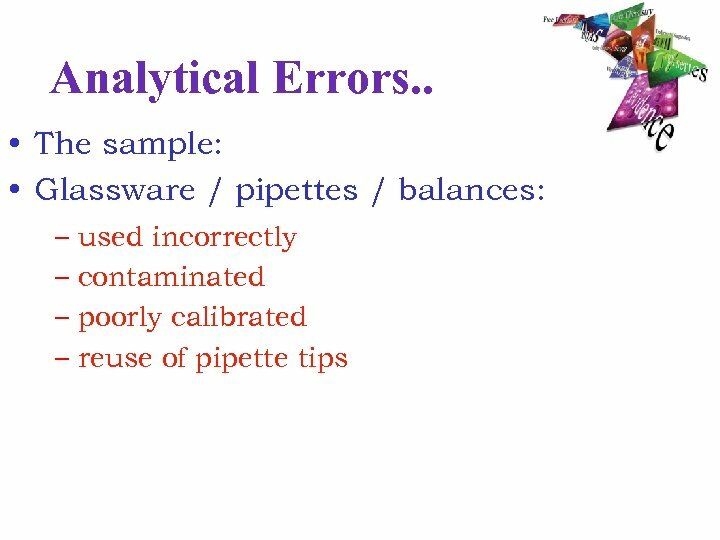 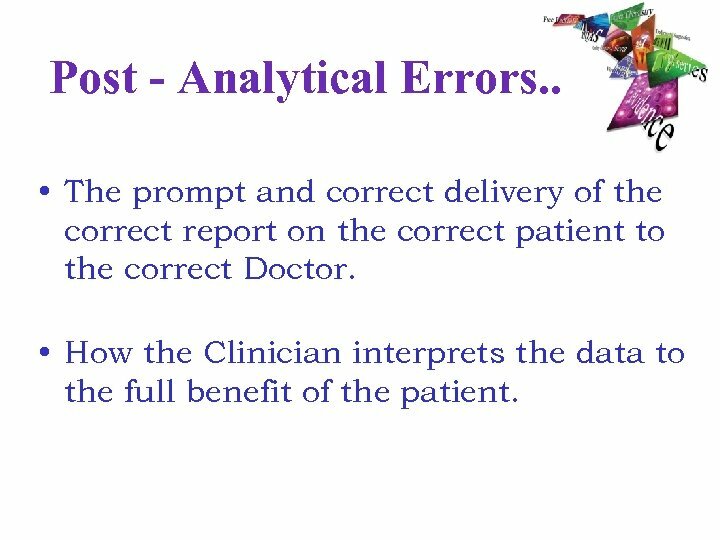 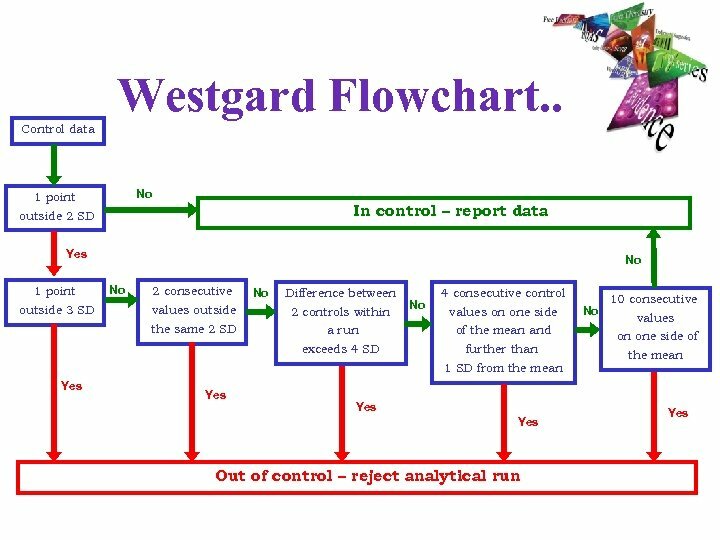 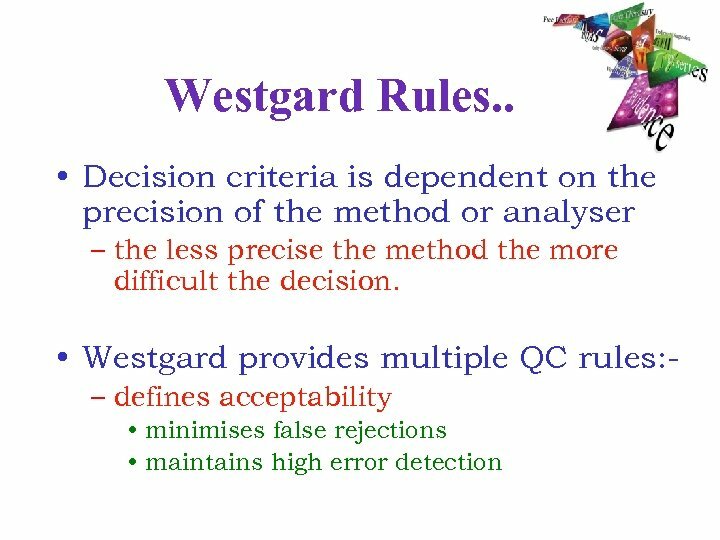 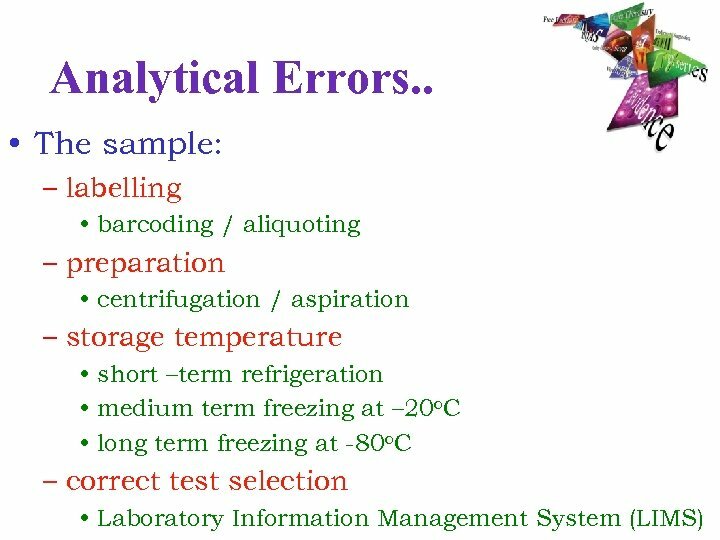 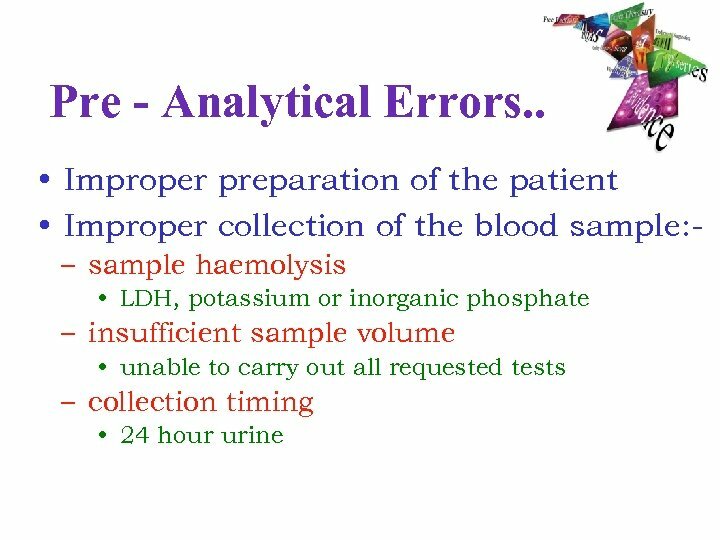 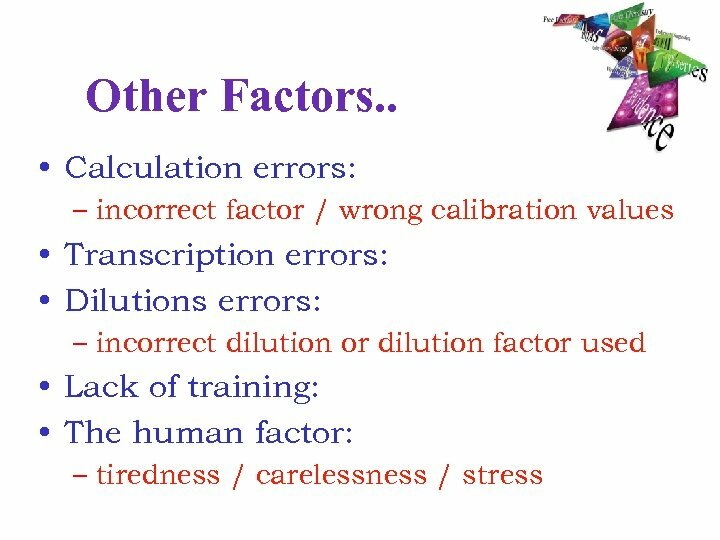 Post - Analytical Errors. . • The prompt and correct delivery of the correct report on the correct patient to the correct Doctor. 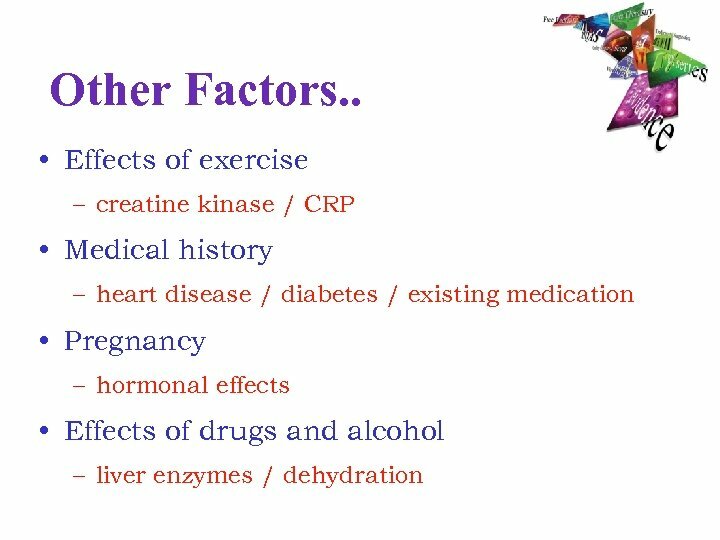 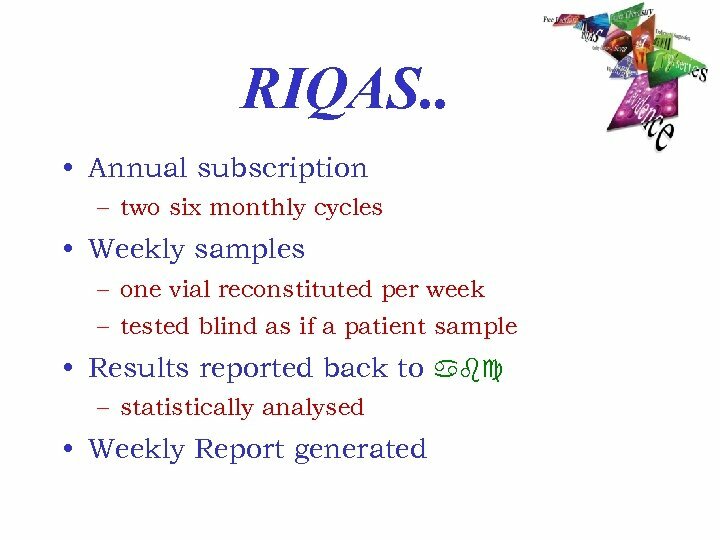 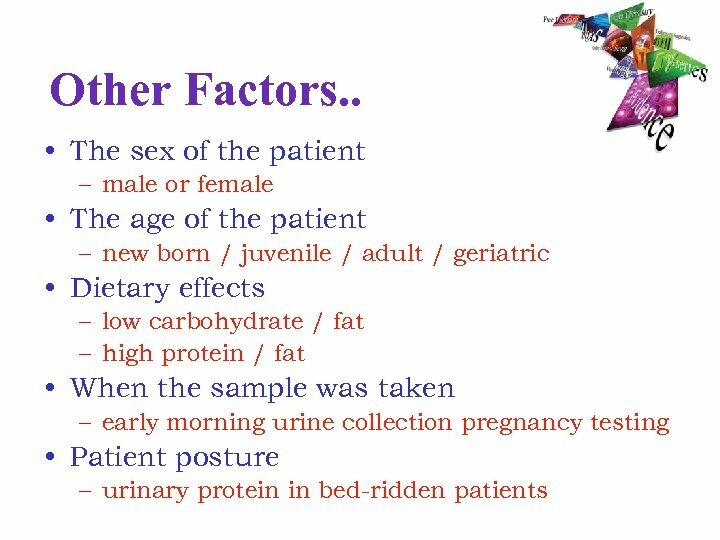 • How the Clinician interprets the data to the full benefit of the patient. 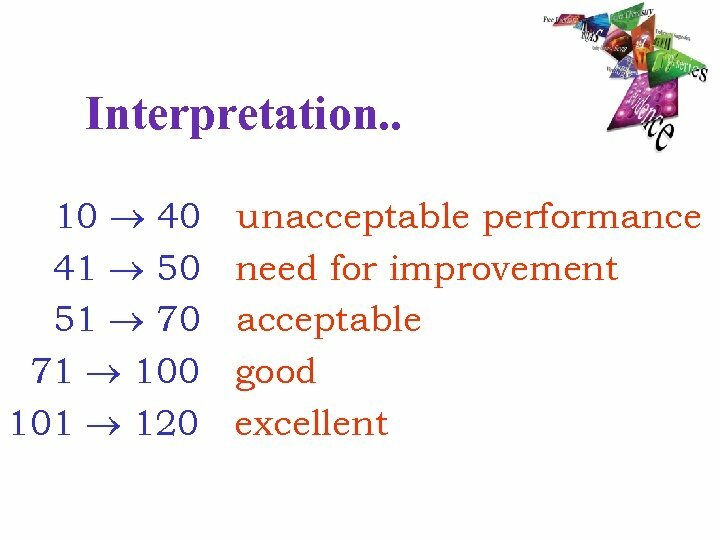 Accuracy ? 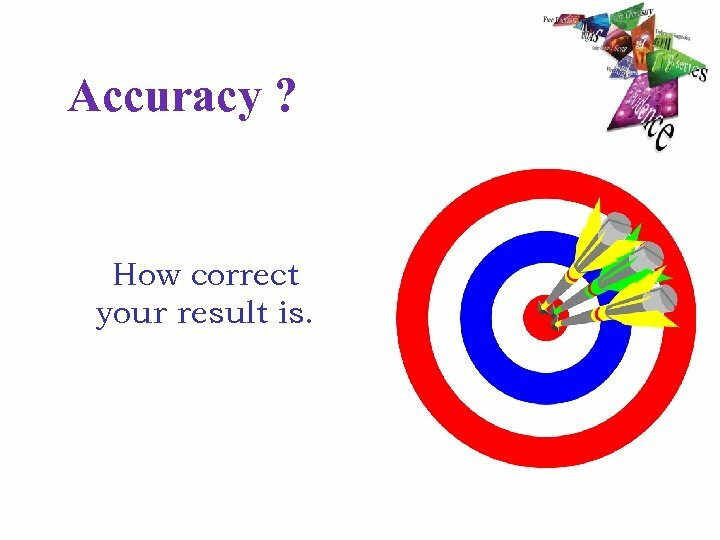 How correct your result is. 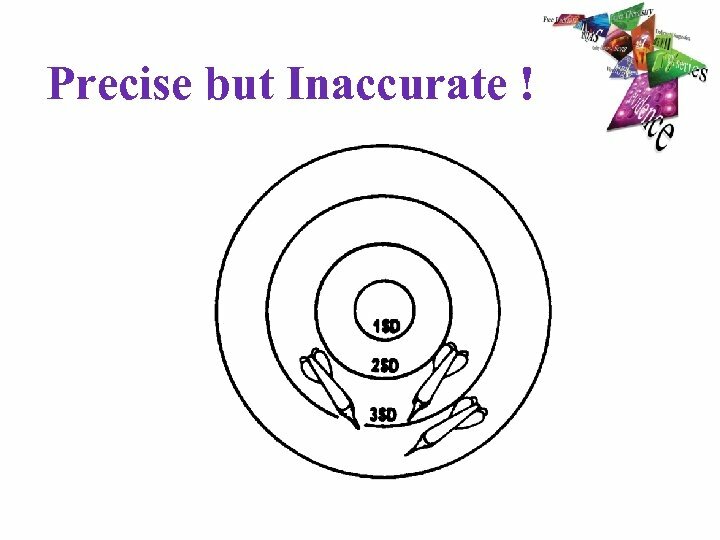 Precision ? 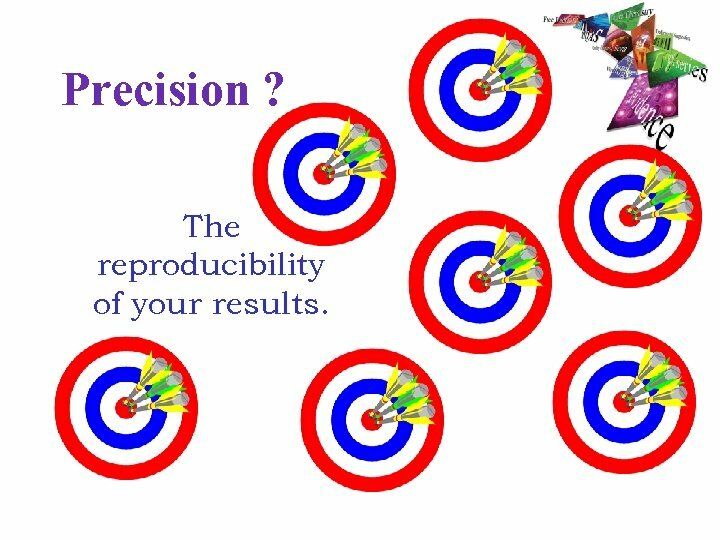 The reproducibility of your results. Sensitivity ? 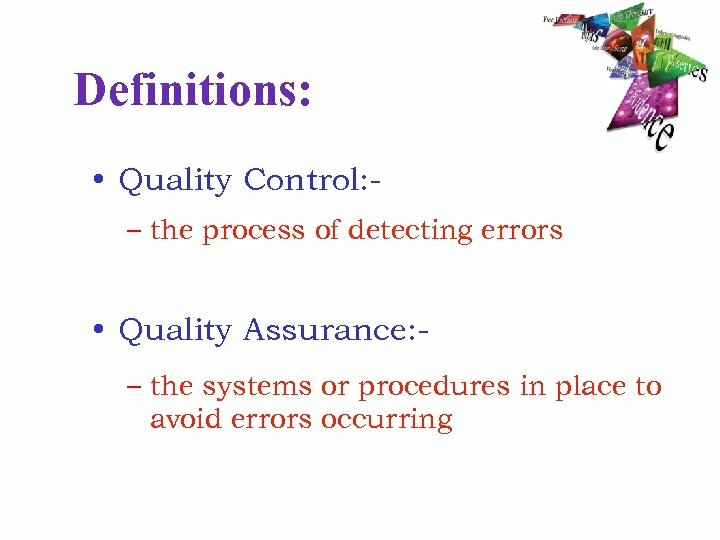 • The ability to detect small quantities of a measured component. 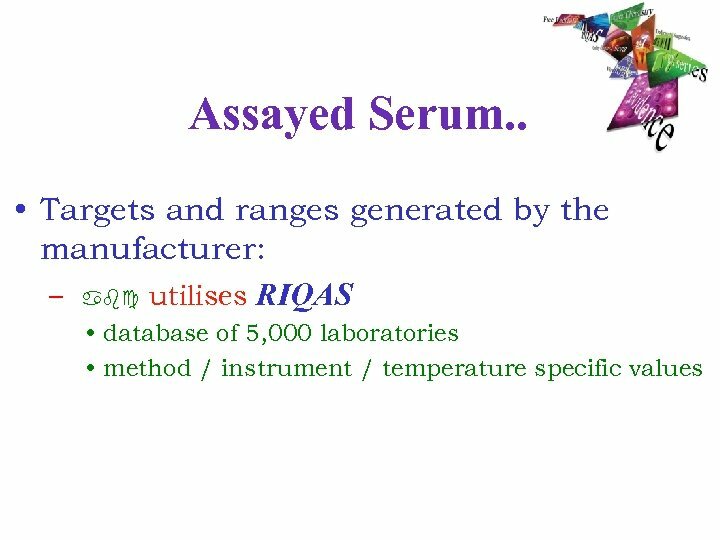 – will affect both precision and accuracy at the bottom end of the assay range. 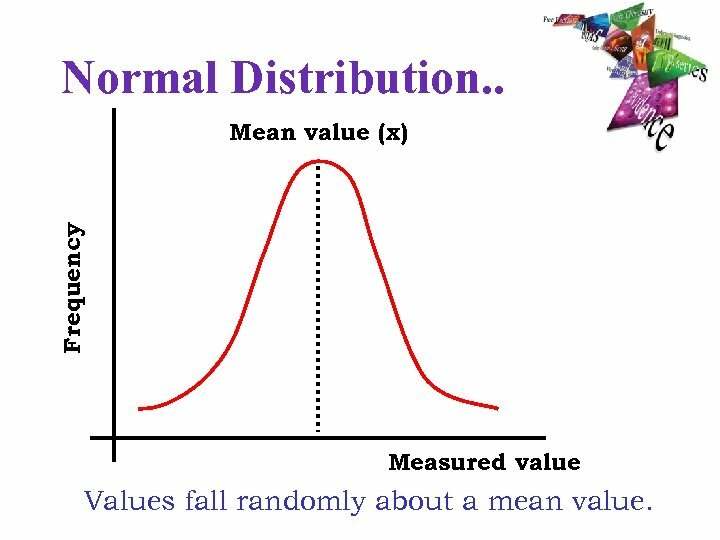 Normal Distribution. . 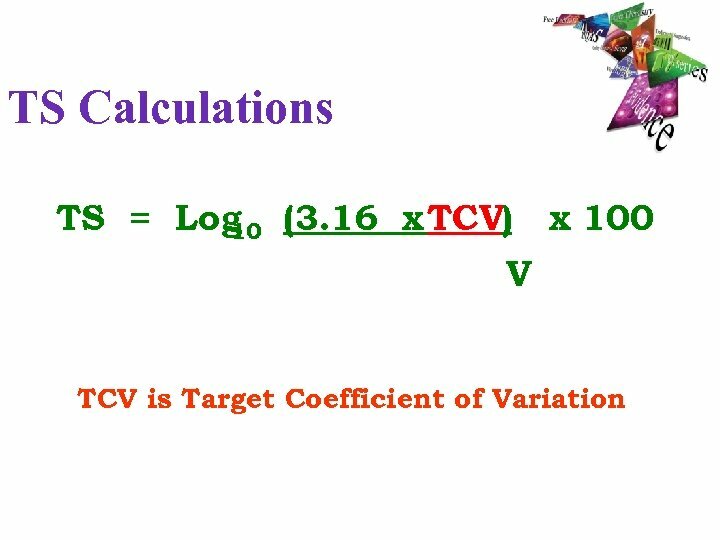 Frequency Mean value (x) Measured value Values fall randomly about a mean value. 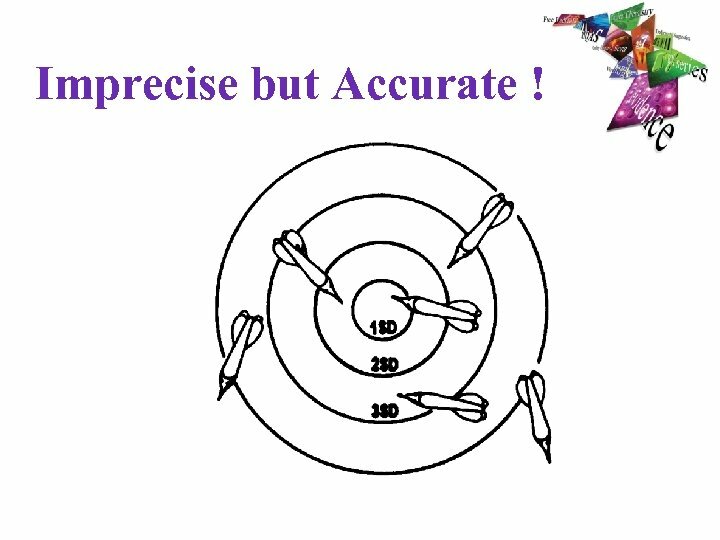 Precision ? • How disperse the values are. • Quantified by measuring the Standard Deviation (SD) of the set of results. 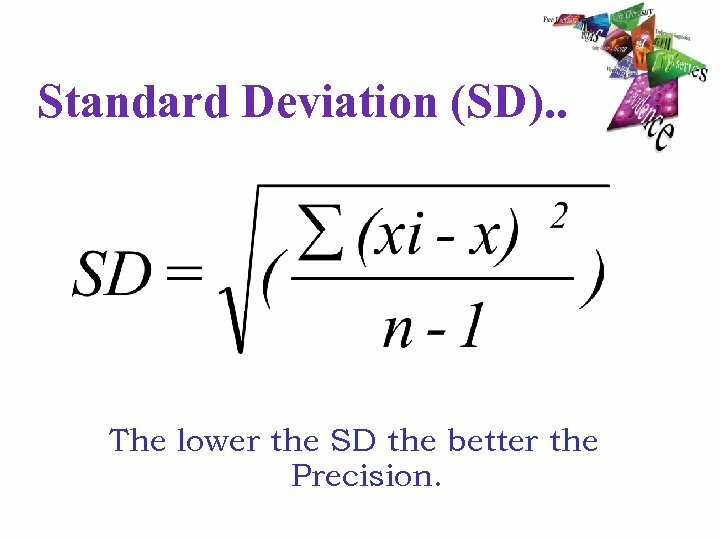 Standard Deviation (SD). . 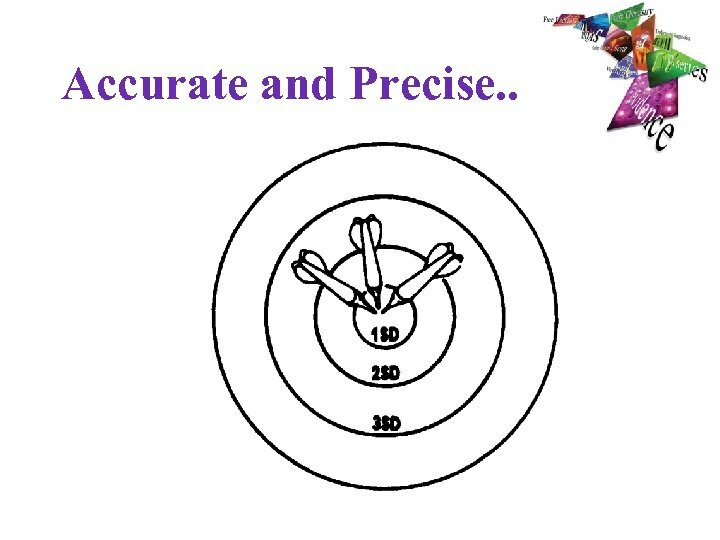 The lower the SD the better the Precision. Mean +/- 1 SD. . 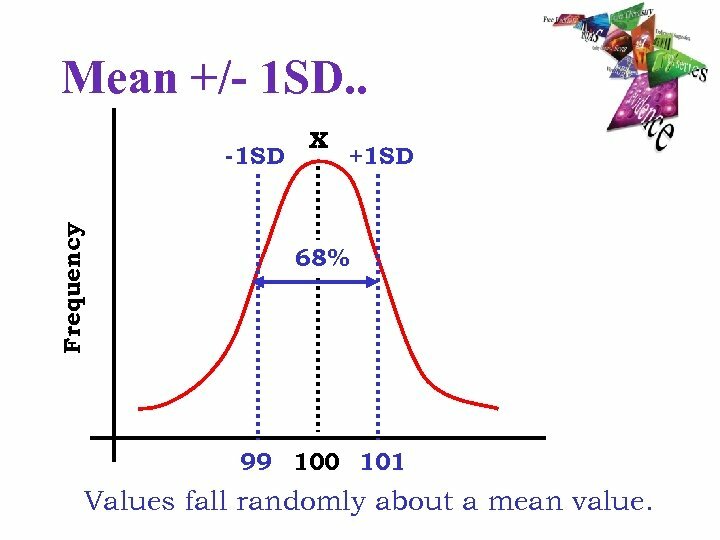 Frequency -1 SD x +1 SD 68% 99 100 101 Values fall randomly about a mean value. Mean +/- 2 SD. . 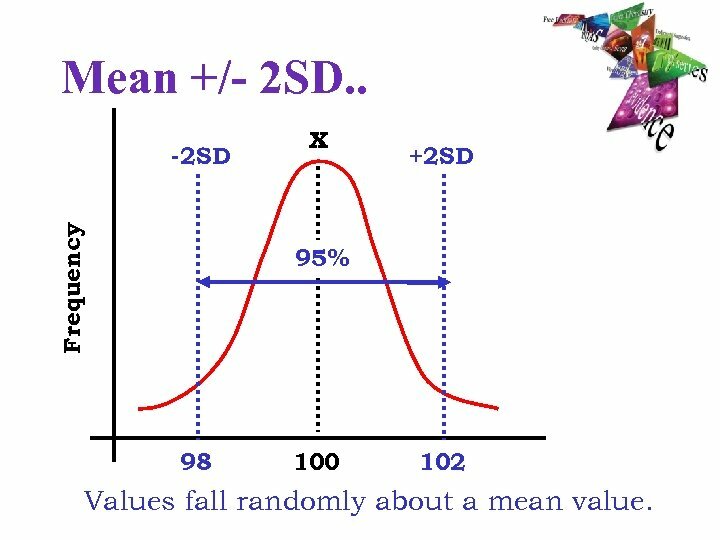 Frequency -2 SD x +2 SD 95% 98 100 102 Values fall randomly about a mean value. 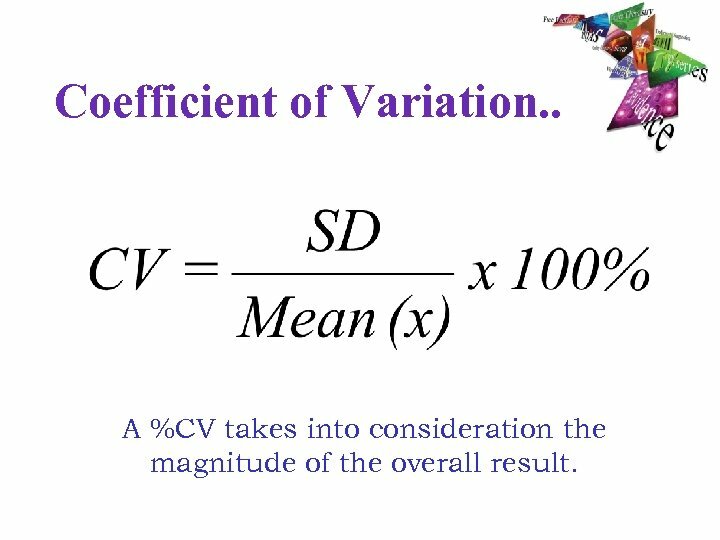 Coefficient of Variation. . A %CV takes into consideration the magnitude of the overall result. Example: Potassium %CV = (0. 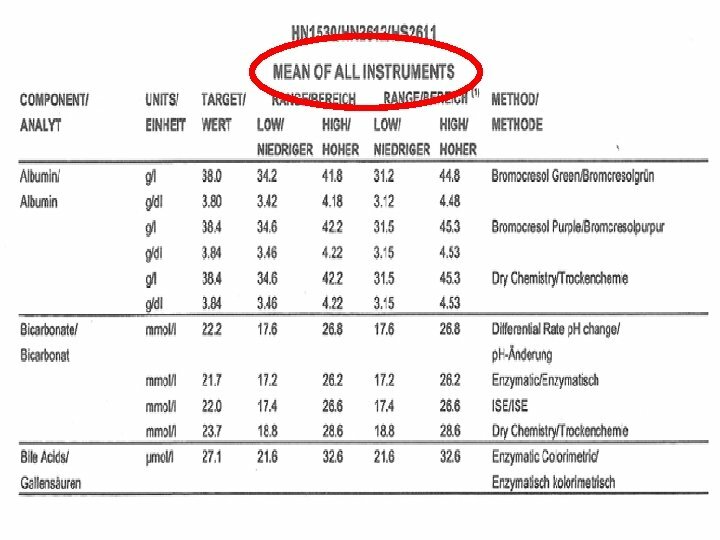 1 / 5. 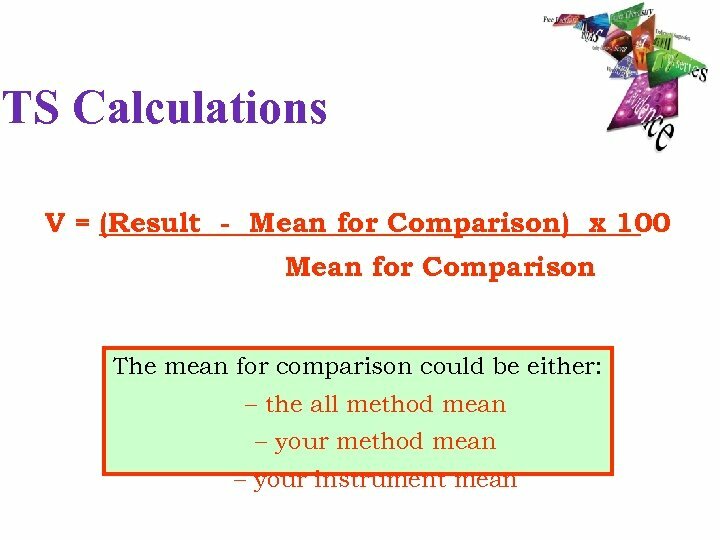 0) x 100% = 2. 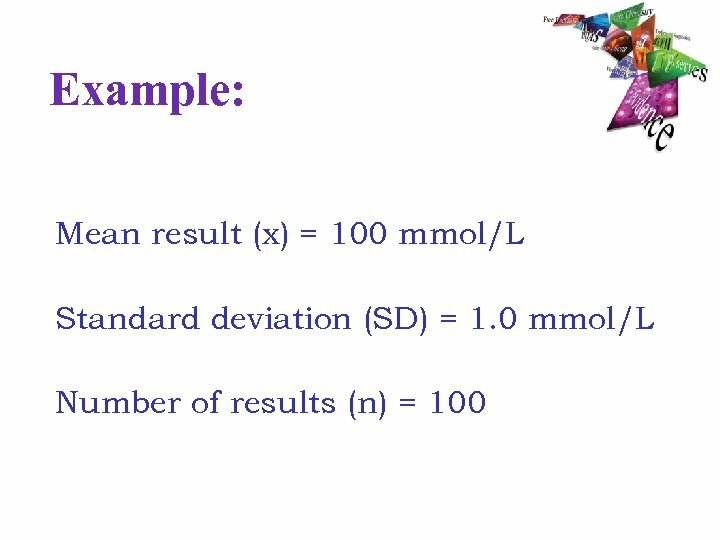 0% Sodium %CV = (2. 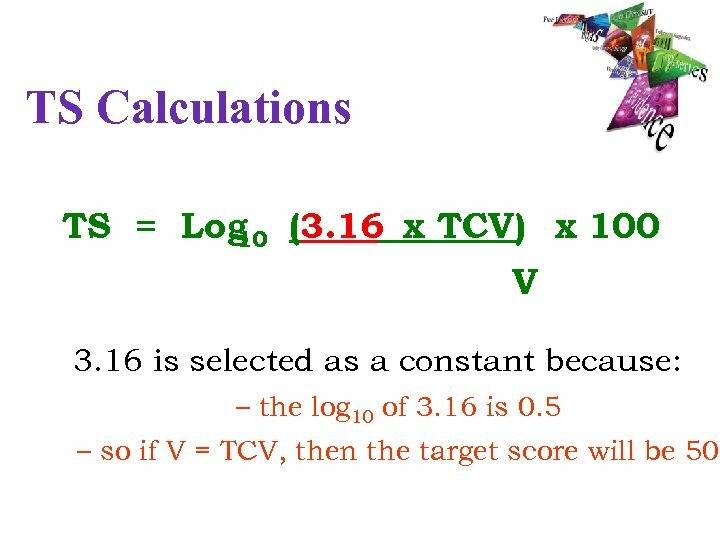 0 / 140) x 100% = 1. 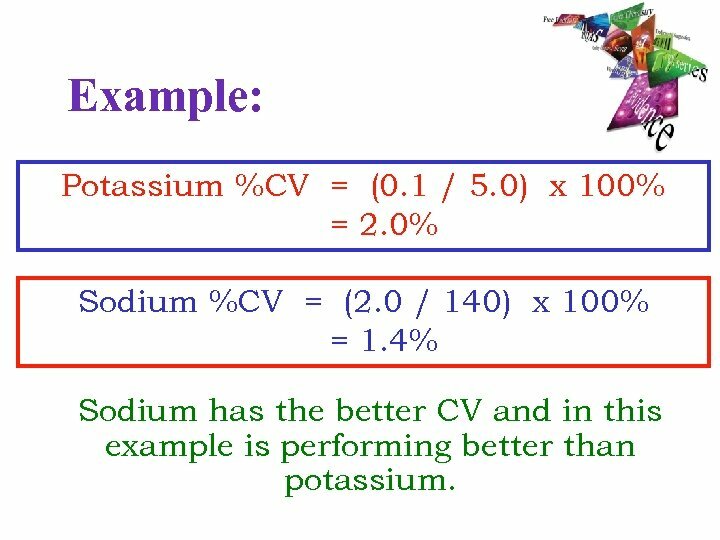 4% Sodium has the better CV and in this example is performing better than potassium. 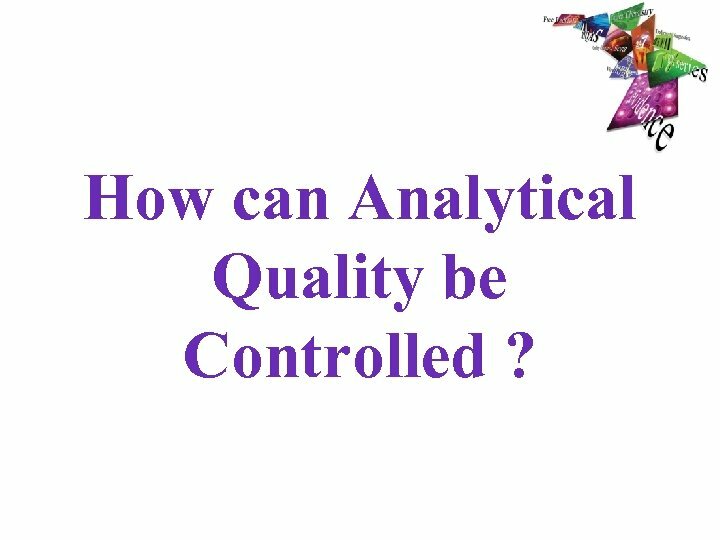 How can Analytical Quality be Controlled ? 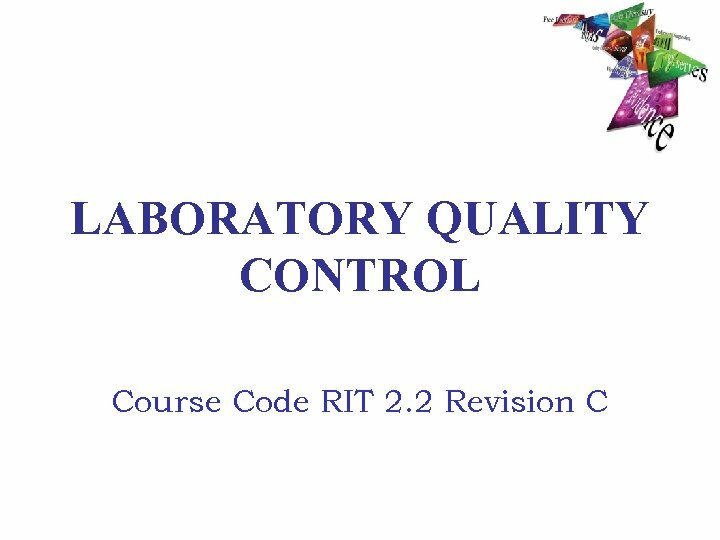 • Internal Quality Control (IQC). 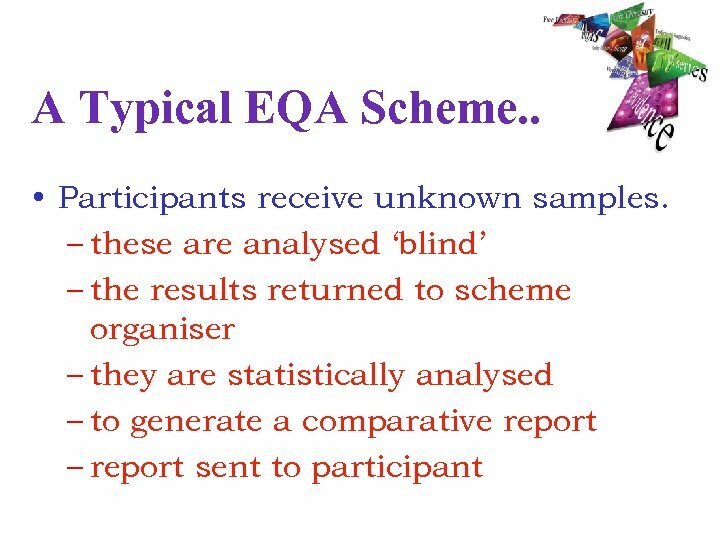 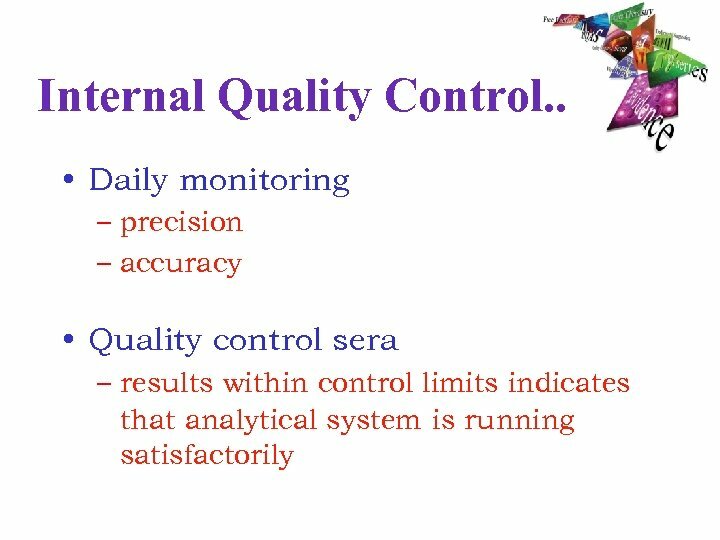 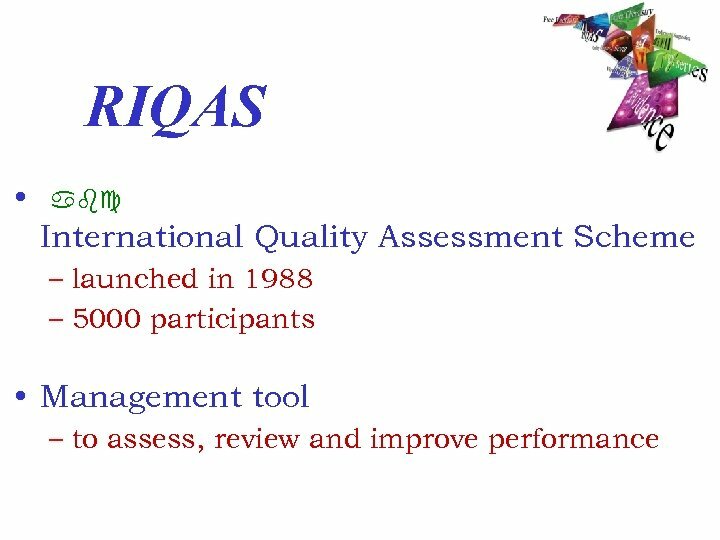 – daily monitoring of quality control sera • External Quality Assessment (EQA). 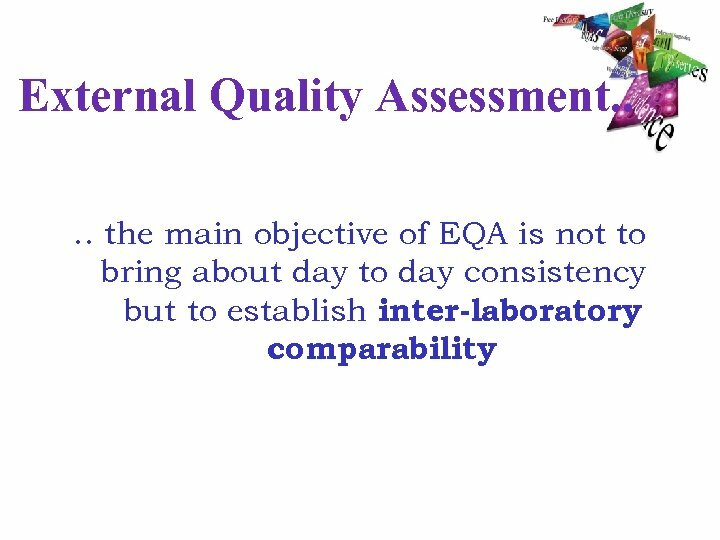 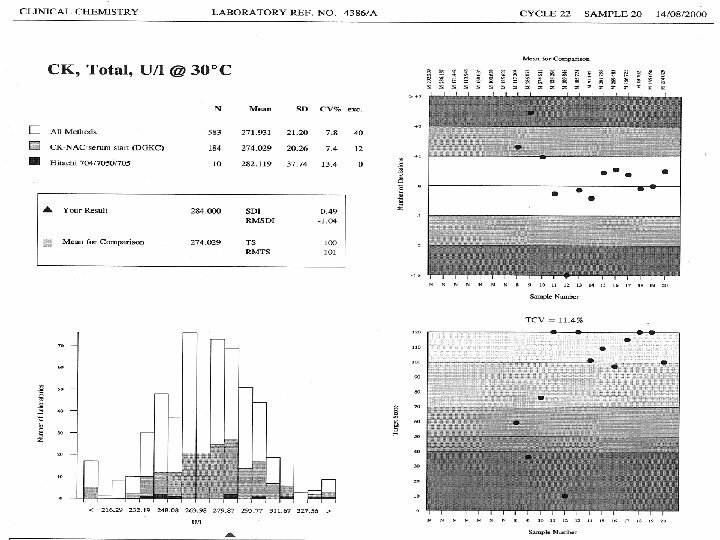 – comparing of performance to other laboratories. What is Acceptable ? 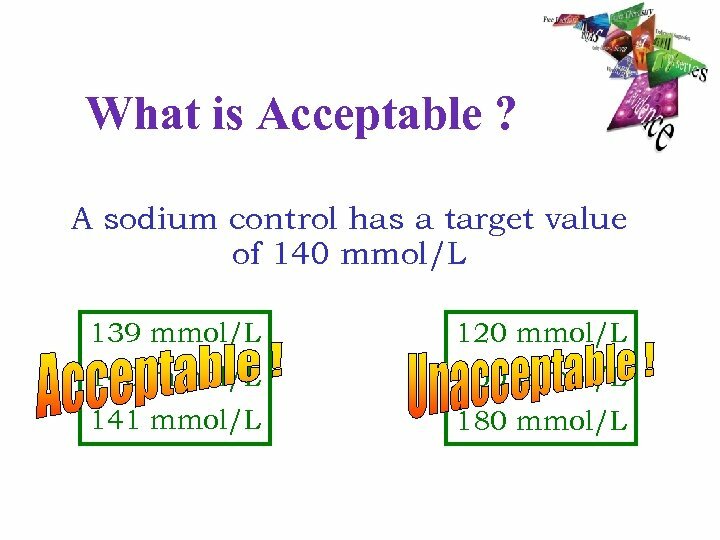 • A range of acceptable values is established • Sodium Control: - 137 143 mmol/L. 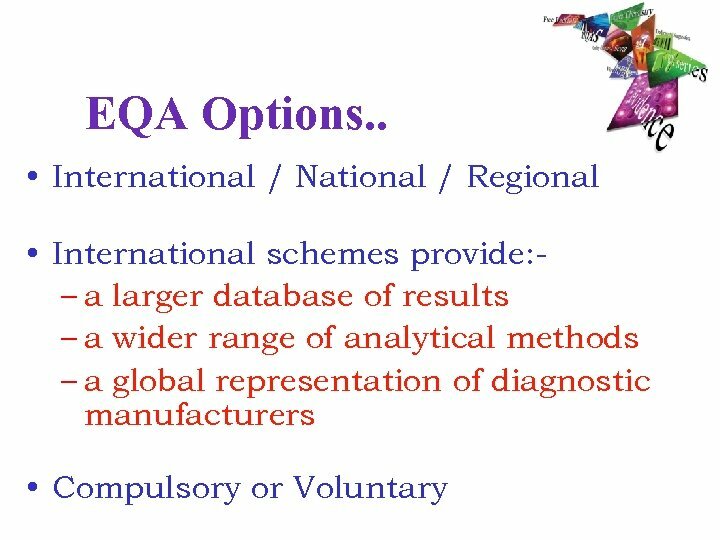 What are the Options ? • Unassayed serum: – the cheaper option ! 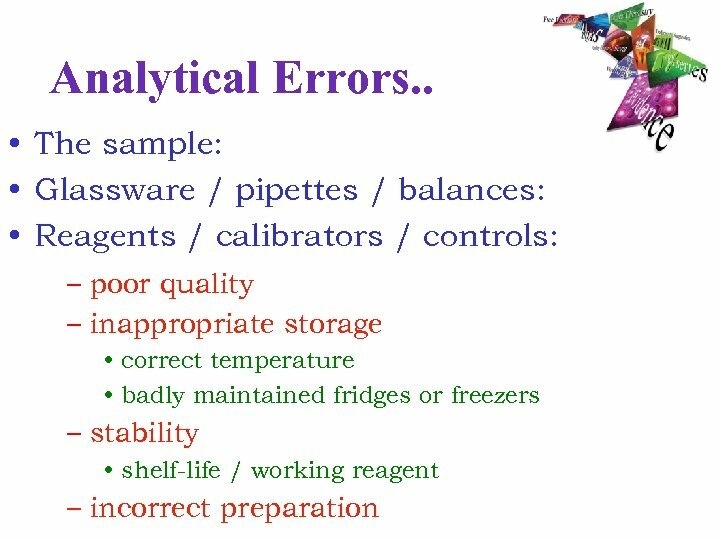 • but the laboratory must establish its own ranges – cannot be used to assess accuracy ! 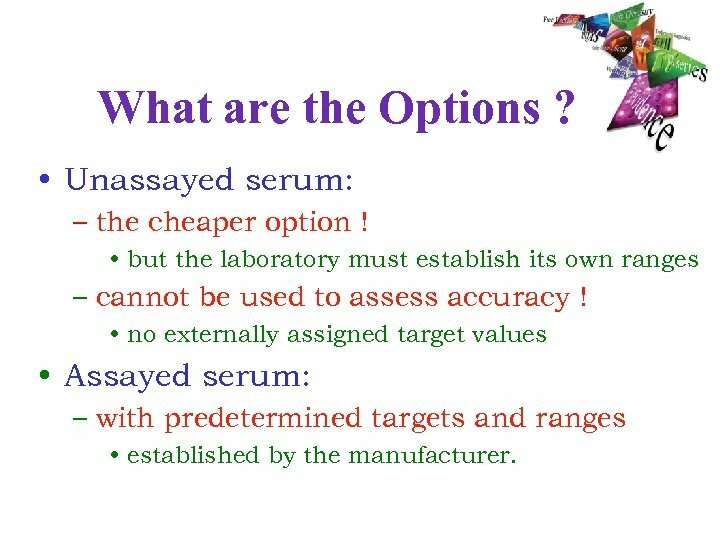 • no externally assigned target values • Assayed serum: – with predetermined targets and ranges • established by the manufacturer.